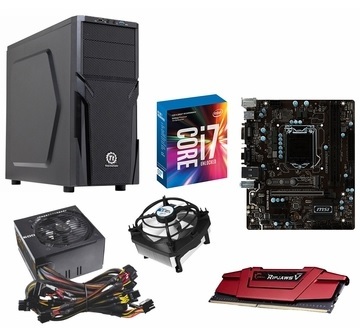 In this buying guide to PC barebone kits we'll explain the advantages and disadvantages of getting a system like this when building/buying a new gaming computer, what to look out for, and also some of the best PC barebone kits on the market right now at the time of writing to help you find a good deal. What is a Barebone PC Kit? A barebone computer, or barebone kit, is a partially assembled base of a system (or an unassembled collection of parts) that typically sell for an attractive price. They are starter kits for PC buyers and builders; in other words they're incomplete systems that will require additional parts for a working system, allowing you to tailor the selections of whichever components are missing. You'll likely have to get your own peripherals/accessories too. Sometimes they can save you a significant amount of money, although it depends on the deal and depends on your specific wants and needs. They're not always the best way to go, and you might find it cheaper to buy each part individually. Sometimes they include lower-quality components too, so you have to keep an eye out for that and make sure to do your research on each part that comes included. Barebone PCs can be a good place to start as a beginner, as you have a nice mix between building your own system and buying an already made PC, as you already have a pre-assembled base to work with (although remember some barebone kits come as a bunch of uninstalled parts). This barebones PC is a good head-start for a mid to high-end gaming rig in a compact (small form factor) and stylish case that has good ventilation. This half-assembled computer comes with the case, a decent 80-Plus silver-rated 600 watt power supply, Intel motherboard that supports the latest Intel processors (not just 6th gen as the specs say but you may need to update the BIOS if using a 7th gen processor), and an MSI CPU cooler. That means you have control over picking suitable CPU, graphics card, RAM (DDR4), storage, operating system, and peripherals like your monitor, keyboard and mouse. Overall, it could be a good buy if you're looking for a classy small case and if you can find it at an attractive price, and also if you're building an Intel rig. This case will fit a high-end GPU such as a GTX 1070 or 1080 so you can really turn it into a beast of a machine. As with any computer purchase, make sure to do further research. 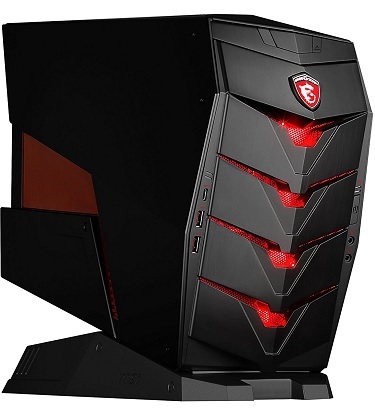 Check out this full review of the MSI Aegis 001BUS to weight up whether it's worth it to you. Another decent barebone PC that comes with a mini horizontal Corsair case, a mini-ITX Gigabyte Z170N motherboard that has built-in WiFi, a 600 watt Gold-rated power supply, and a Corsair Hydro CPU cooler. If you're looking for a head-start on a new build and you like the size and style of the case, this could save you money and time. Again, do your homework to make sure it's going to support and fit the other parts you'll be adding to this mini rig. For a complete working system you'll need a graphics card (should you want to play the latest games; this rig has a built-in GPU but it's lacking) as well as a CPU, memory, storage, and peripherals.